How would you like to use our space? We do not have any “private rooms” but this is as close as it gets. 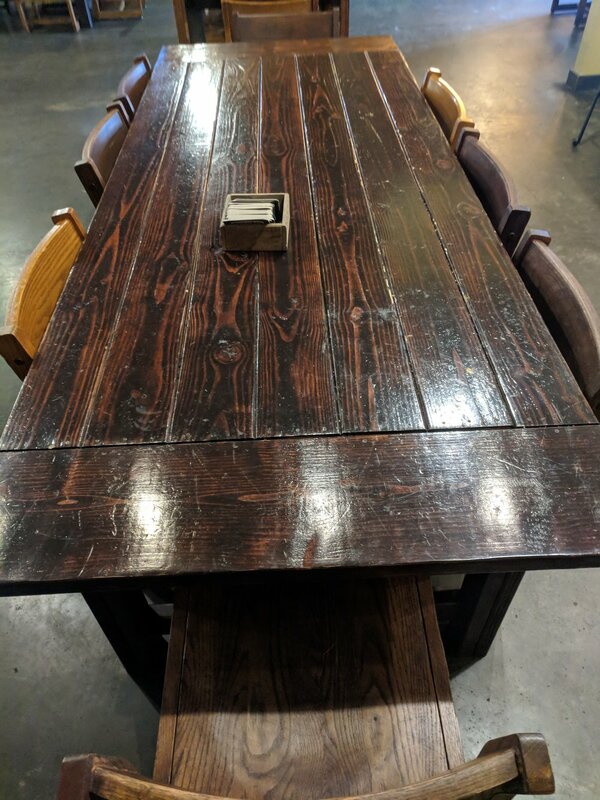 It is off to the side of the main taproom and you are welcome to configure the tables in any way that works for your group (please put them back when you are done). There is a flat-screen TV and it is also connected to the kids play-room. This tends to be a good choice for birthday parties, sport-viewing parties or just a more quiet/intimate space for meetings than the open taproom. Our taproom has limited space but it still works great for large groups! If your group exceeds 30ppl we can’t guarantee a seat for everyone but there is ample space to stand, mingle and move around (We find that large groups tend to mingle more, rather than be seated the entire time anyway). We have large farmhouse style tables and bar for easy access to catered food or home-cooked meals. All service is from the counter. Let us know what you need, this space is more flexible! Our beer garden is large! It is perfect for large parties and all kinds of events. Have something special in mind? Chat with us about it! Please take a look at our guidelines before making your reservation. Is this a special event? Tell us about i! This will help us decide how many tables to give to your group. If you need time to set-up please include that time in your reservation. Ex: If it is a birthday party @6:00pm but you want to decorate tables please set the reservation for 5:30pm. Do you need anything from us to make this reservation special? Ask us!